Tina and I both aim to live a healthier lifestyle as one of our top priorities this 2018. So last month, we came up with a healthy lifestyle plan: we started with a 9-day nutritional cleansing/detox (more on this soon! ), followed by scheduled workout routines (yey for Tina who decided to formally enroll in a gym), and started sharing health-boosting tips and whatnots. Unfortunately, as people who are always on-the-go, one of the unhealthy habits we still need to defeat is not having a healthy breakfast which is supposed to be the most important meal of the day. 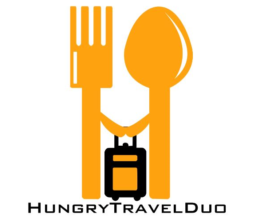 I for one, having a nomadic on-the-go lifestyle everyday, end up skipping breakfast most days especially if I have to prepare a lot before heading for the door. I mainly work till late and thus I prioritize sleep more and end up waking up just in time to get ready for work. As for Tina, since her days have mostly been erratic lately and her personal training sessions at the gym are set at 7:00 AM thrice a week, she just grabs whatever she can in the kitchen just to sustain energy and get her through her fitness hour. So for both of us, lunch is sacred and is more often than not our first meal of the day. Talk about unhealthy habits. 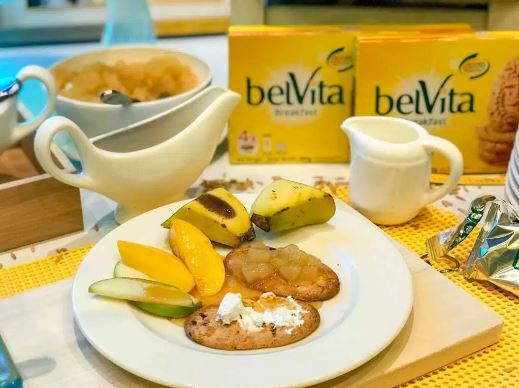 Good thing, a new healthy breakfast for to-go is available for us Filipinos to enjoy: the new BelVita Breakfast Biscuits. 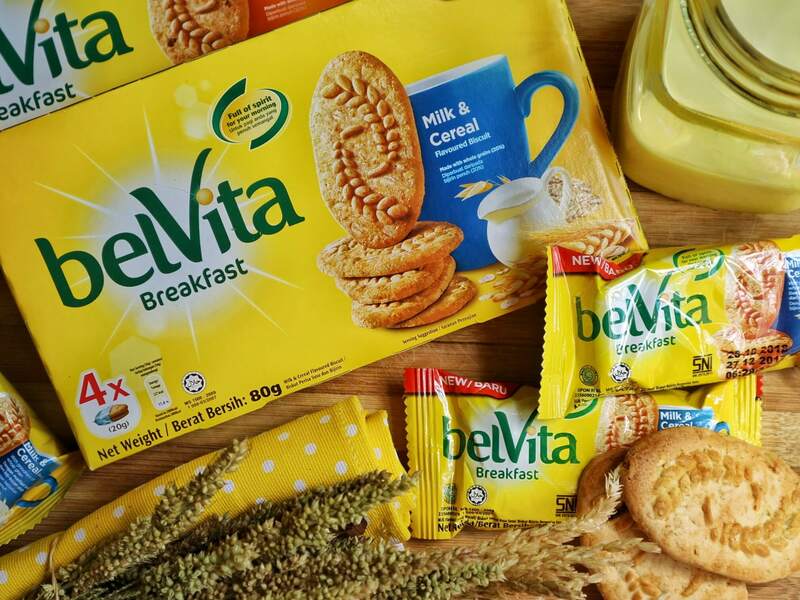 Now available in most major supermarkets in the Philippines, BelVita Breakfast Biscuits is the first-ever breakfast from Mondelez Philippines which aims to address consumers’ growing needs for convenient and delicious well-being snacks. Mondelez Philippines, Inc. is also the manufacturing company behind our favorite snacks like Oreo, and Tiger Energy Biscuit. They are also the company behind the Tang powdered drink, Eden Cheese, Toblerone chocolate, and Cadbury Dairy Milk Chocolates. 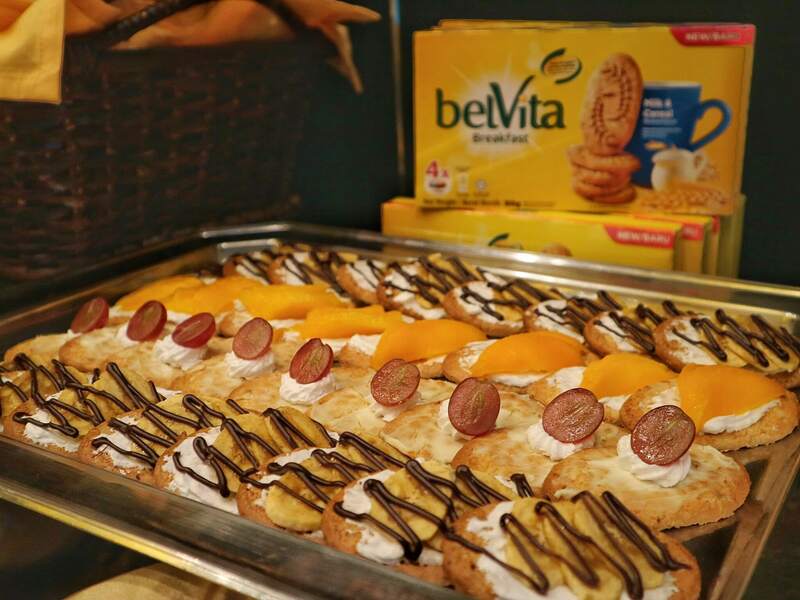 BelVita Breakfast Biscuits were first introduced in the United Kingdom in 2011 and has since become a global breakfast icon sold in markets in over 50 countries and now finally makes its debut in the Philippines. 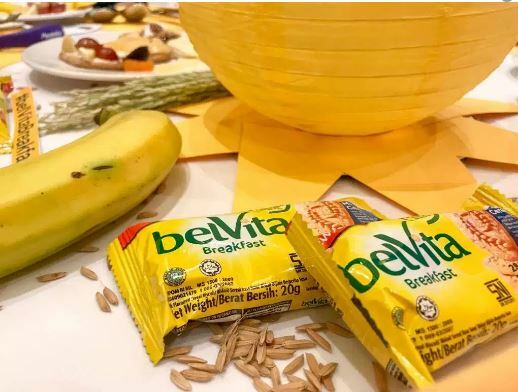 Living in a fast-paced world where people are more aware of their well-being and are more driven to be healthy, BelVita Breakfast Biscuits is definitely a convenient way to enjoy a nutritious breakfast for mornings on the go. 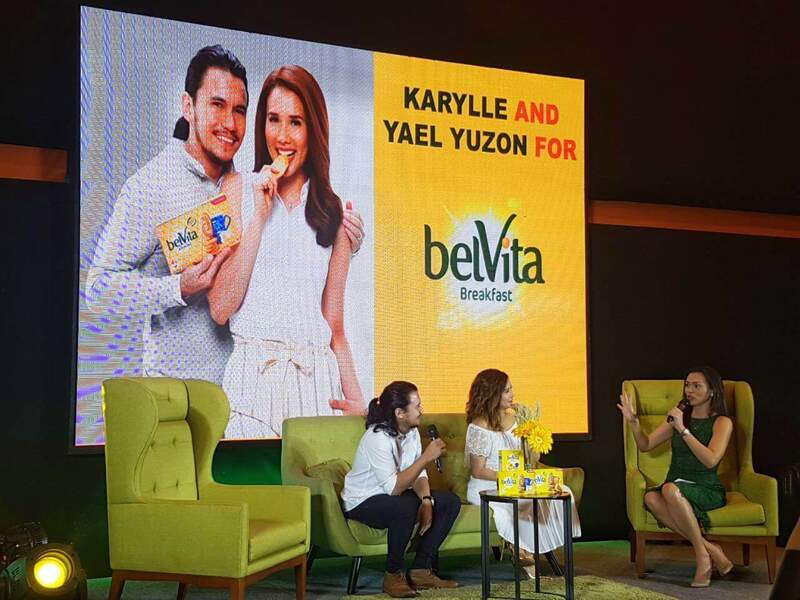 During the launch of BelVita Breakfast Biscuits, the celebrity couple, singer/host Karylle and band vocalist Yael Yuzon, were introduced as the brand ambassadors. 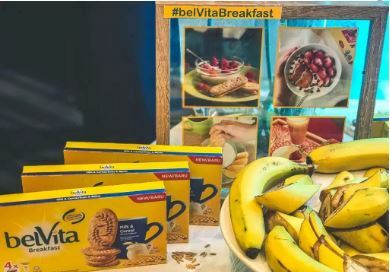 I think everyone will agree that being the faces of BelVita simply suits them because they understand the active and healthy lifestyle of Filipinos, thus making a #BelVitaBreakfast a great way to start one’s day! I was told that small meals throughout the day are better than having an empty stomach. With BelVita Breakfast Biscuits, you’ll feel full for at least four hours. With 18-20 g of whole grain, fiber, and B vitamins per pack,BelVita Breakfast Biscuits are the perfect source of nutritious, sustained energy. 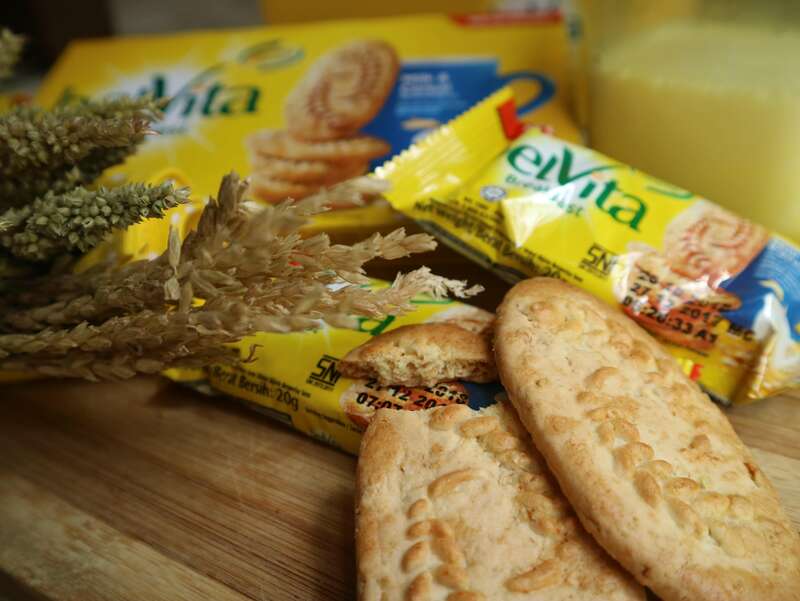 Belvita breakfast biscuits is a great alternative to oatmeal and ready-to-eat breakfast cereals. These biscuits are made with whole grain cereals, including whole wheat and oats. In fact, Mondelez needed to curate a special baking process just to retain the nutrients found in the cereals. These breakfast biscuits also contain Vitamins A, B1, B2, B3, D, and minerals such as calcium, iron, and zinc. Just the right nutrients you’ll need to kickstart your mornings. The Belvita breakfast biscuit alone tastes so good. So pairing it up with other nutritious food like fresh fruits, dairy and yogurt, then it’s even more perfect. Other combinations to try are to pair them with low-fat or non-fat latte with orange; sliced apple and low-fat cheese; or half-pint carton of milk and banana. Fresh fruits, yogurt, and low-fat milk, basically, complete the nutrients we’ll need for the whole day. The best part is BelVita breakfast biscuits are high in nutrients and sugar, giving you the initial energy boost for the day. I guess we’ll just have to watch out for our sugar intake for the rest of the day. And since BelVita biscuits are conveniently wrapped in individual foil packs, I too no longer need to worry about curbing my hunger pangs when I’m running late for a meeting or while being stuck in traffic because I know I can just open a pack and can instantly fill my tummy with BelVita’s wholesome goodness. A box of BelVita is not only jampacked with nutrition but it is quite affordable as well. The suggested retail price (SRP) per box of 4 BelVita Breakfast Biscuits is only Php 30.50. A single pack, which costs just P8.25, contains two biscuits. BelVita breakfast biscuits are packed by two’s in order for us consumers be able to better manage the food intake. I can easily plan and consume at least two biscuits first thing in the morning. Then, when I feel hungry, I can eat the next pack without having to worry about the crispiness of the biscuits or having food guilt. Currently, with BelVita Breakfast Biscuits, you can choose from two filling flavors in the Philippines: Milk and Cereal or Honey and Chocolate. Hope to taste their other flavors available abroad (heard there are 5)! Until then, here’s to creating delicious mornings, and to a daily dose of a #BelVitaBreakfast!